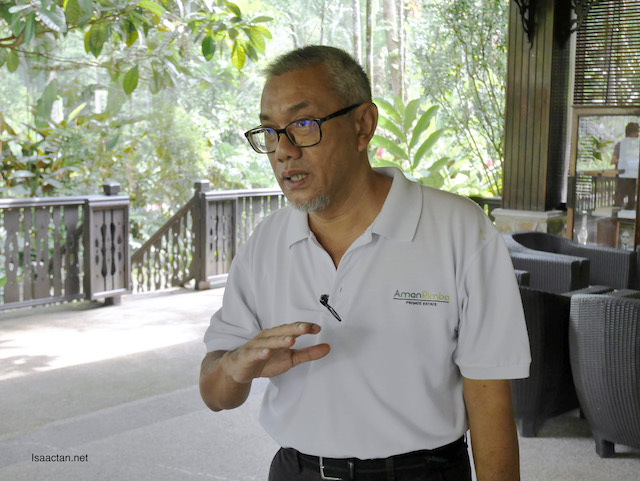 Where is this Aman Rimba Private Estate? A short drive away and we're here! 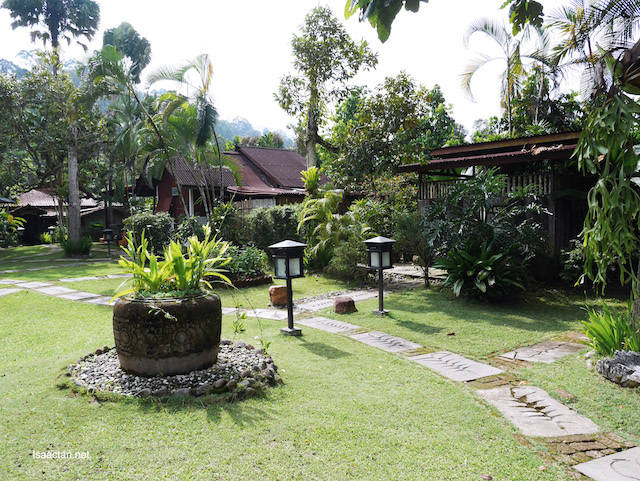 Located in Janda Baik over at Bentong, Pahang, it’s just a short drive away from the place where we turn out from the highway to Genting. 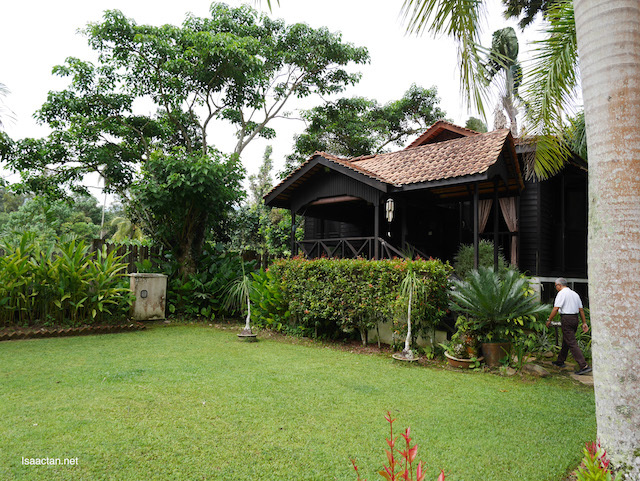 Keying in “Aman Rimba Private Estate” in Waze or Google Map gives us the exact location. 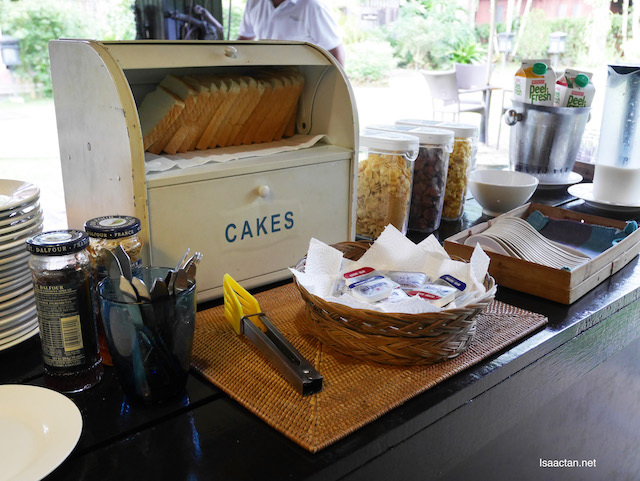 It’s the perfect private place for family functions, weddings, photoshoots, corporate getaway, events, functions and more. 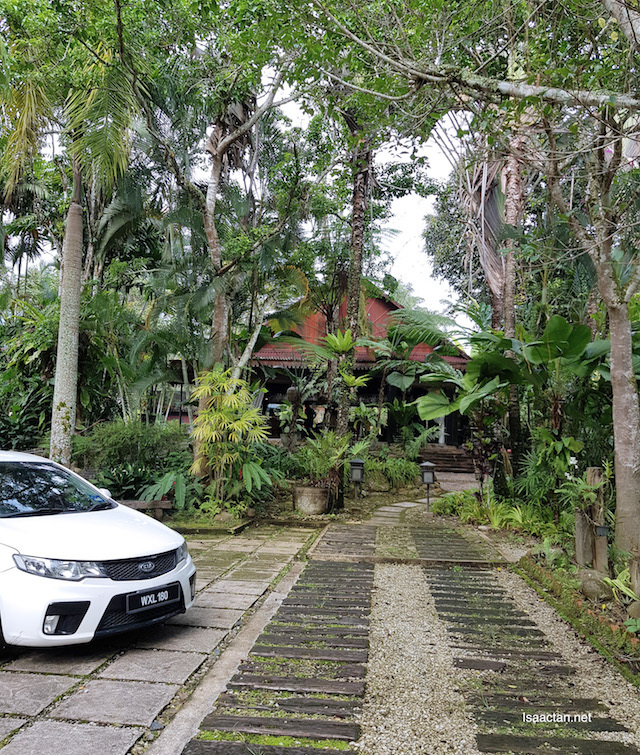 Not your usual villa for rental, the villas and facilities in Aman Rimba Private Estate is for exclusive rental that covers the whole estate within the property. Perfect for large family gatherings, and corporate team building events, it’s not available for individual rental, so do keep that in mind. I like the fact that the whole estate is private, where the moment we arrive, we had to call the caretaker to open the gates and it is locked once we are in the vicinity. No outsiders can walk or drive in without the knowledge of those inside. How’s that for complete privacy! How many Villas are Inside the exclusive Aman Rimba Private Estate? 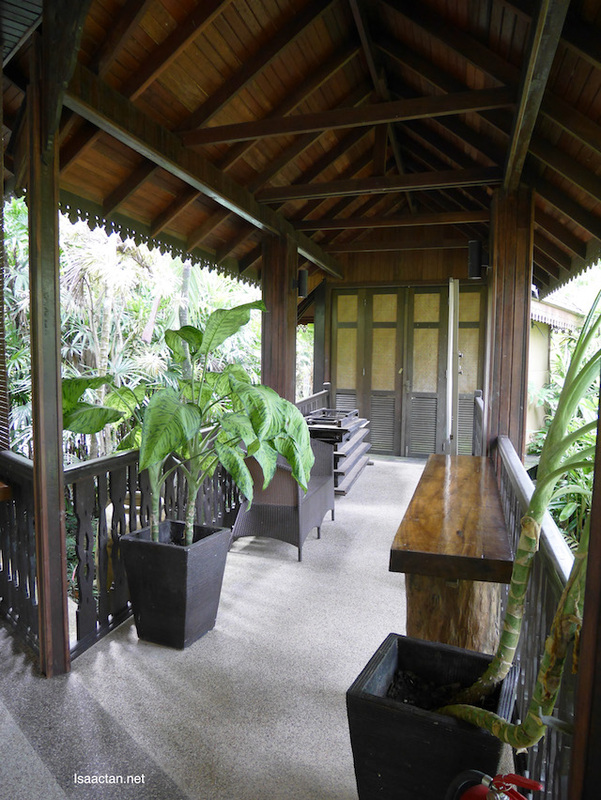 Six, yes, there’s a total of 6 villas in Aman Rimba Private Estates, each with a unique theme. 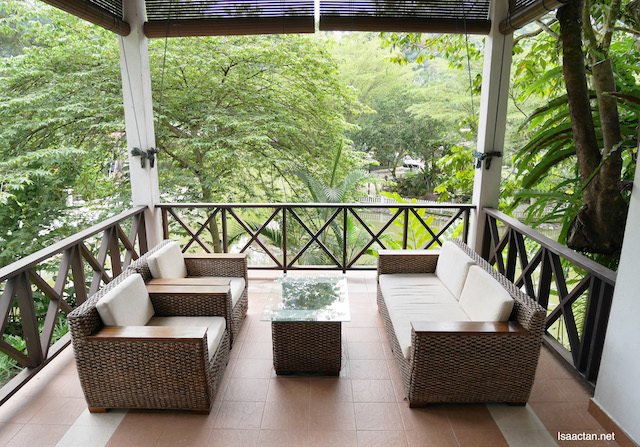 In total, all six villas can accommodate up to 20pax. 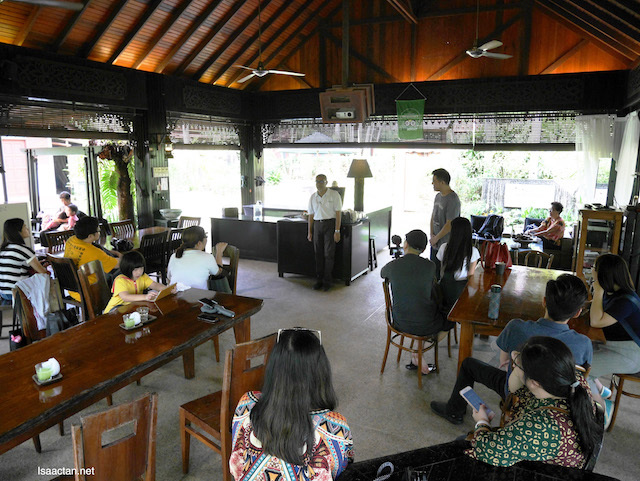 We went on a brief tour of the whole estate upon arrival, thanks to Encik Ashari. We came in one group, all ready for a relaxing weekend. 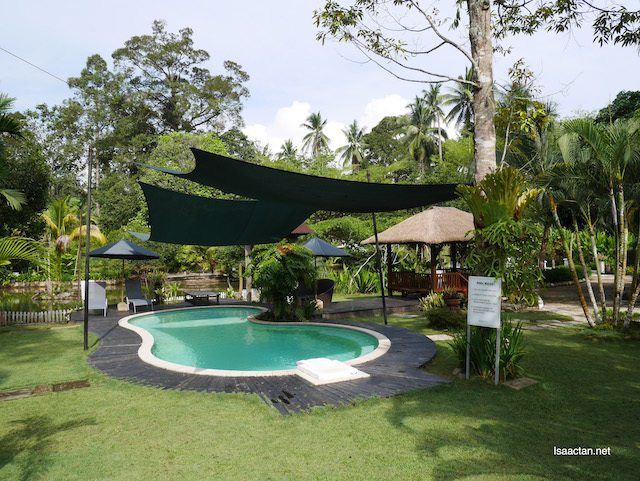 In the vicinity of Aman Rimba, there are two multipurpose halls with meeting facilities, whiteboards, flipcharts and facilities for family events, weddings and for corporate functions or events. For meeting the function hall can accommodate up to 30 pax, for townhall kind of functions is about 70 pax and wedding is up to 50 pax. 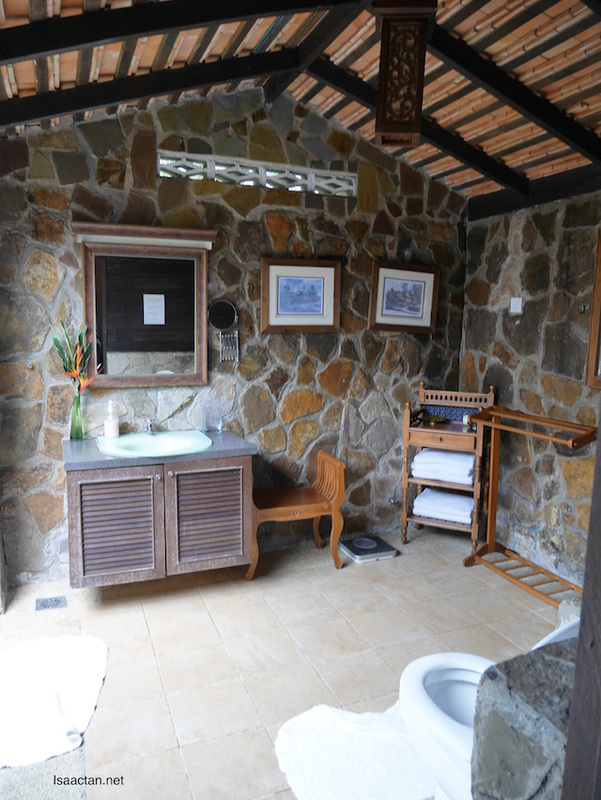 From the smaller villas, to the larger ones, each were beautiful to say the least! Where did we stay that weekend? 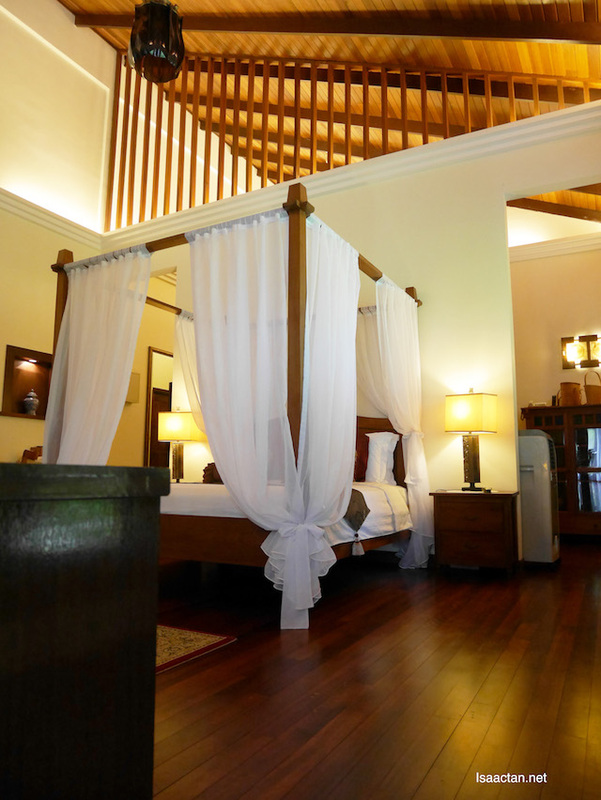 Well, it’s one of the largest villa in Aman Rimba, aptly named Kantan suite, after the “bunga Kantan” plant. The spacious living area with its discreet folding doors separates this two-suite villa from Villa Kantan 1; when opened the two villas create a beautiful two room suite perfect for lounging around with friends and family. 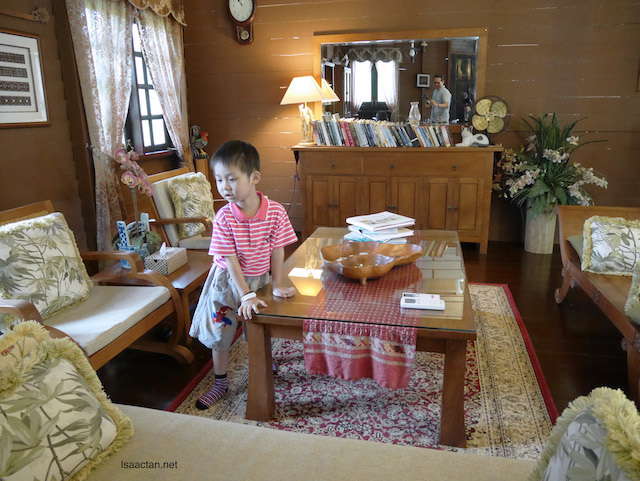 Our suite fits 4 guests, and it was really spacious that the kids could run around and basically enjoy all that space. 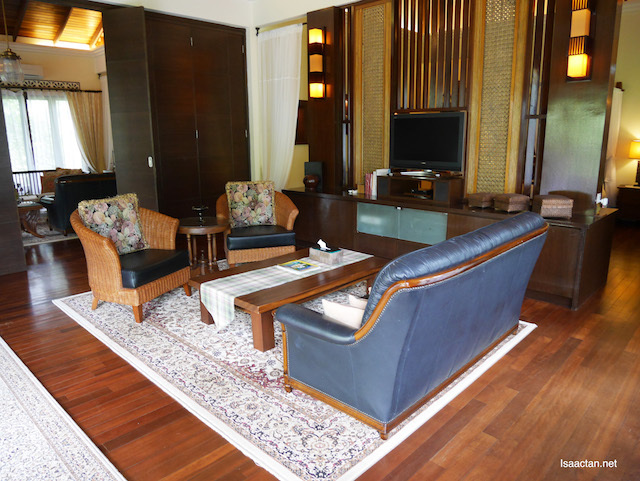 Each suite features a king-sized bed with an additional queen-sized daybed overlooking the tranquil Aman Rimba lake. A walk-in wardrobe leads through the ensuite open-air concept bath, with its twin vanity sets and a separate shower area. 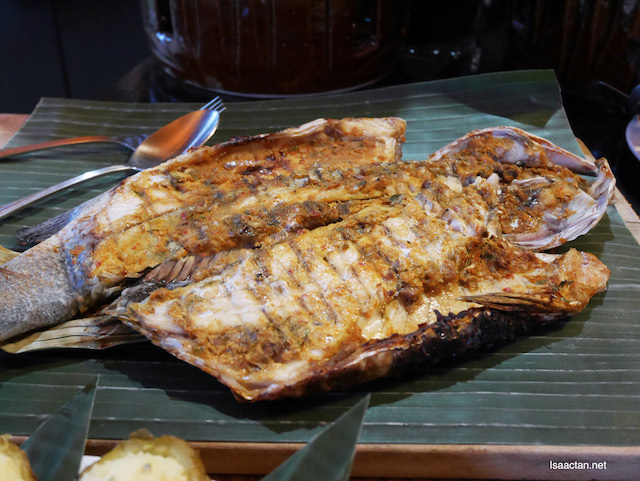 Did you know there are black swans, and fishes in the Aman Rimba lake? Pretty sweet view, from our suite! Inside we even had a private balcony overlooking the lake, the luxury. The living area with sofas were so comfortable and huge. 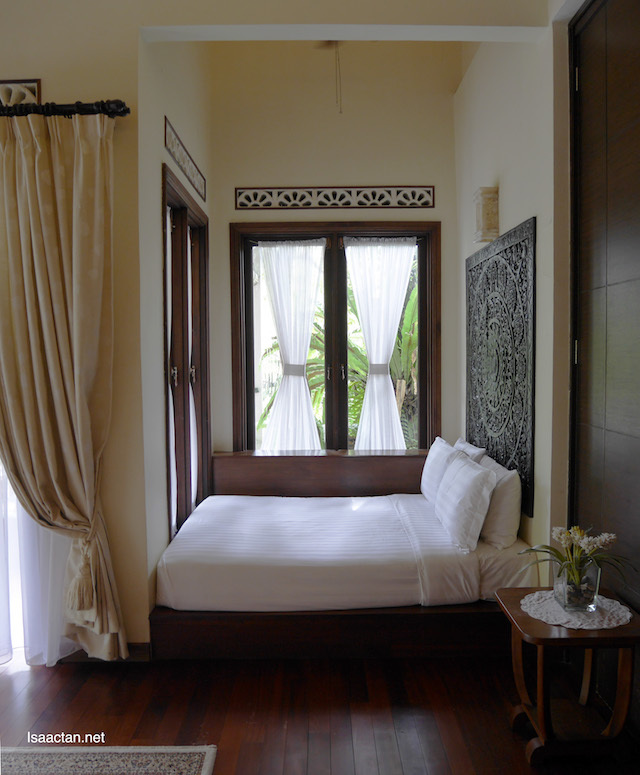 Each of the suites had a mix of authentic traditional architecture with fine, simple luxury. Peaceful thoughts the moment we entered. We even had a private balcony overlooking the lake! 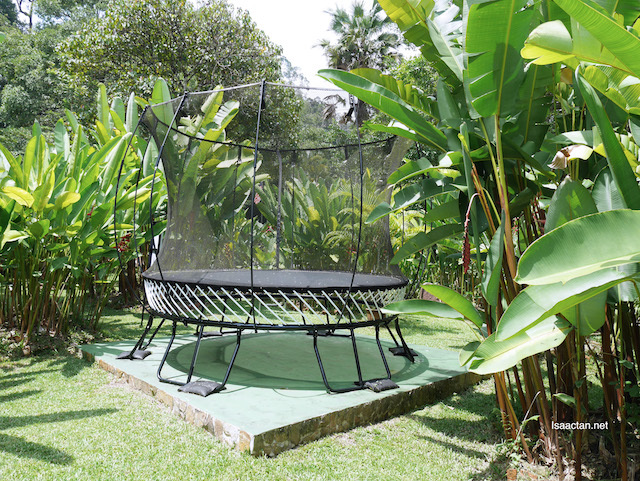 Don’t worry about the fear of being surrounded by nature and the heat that comes along with it, as every villa in Aman Rimba Private Estate is air conditioned. The bathrooms are open top styled, very cool looking as it allows natural lighting inside. Would you believe this is a part of the large bathroom? 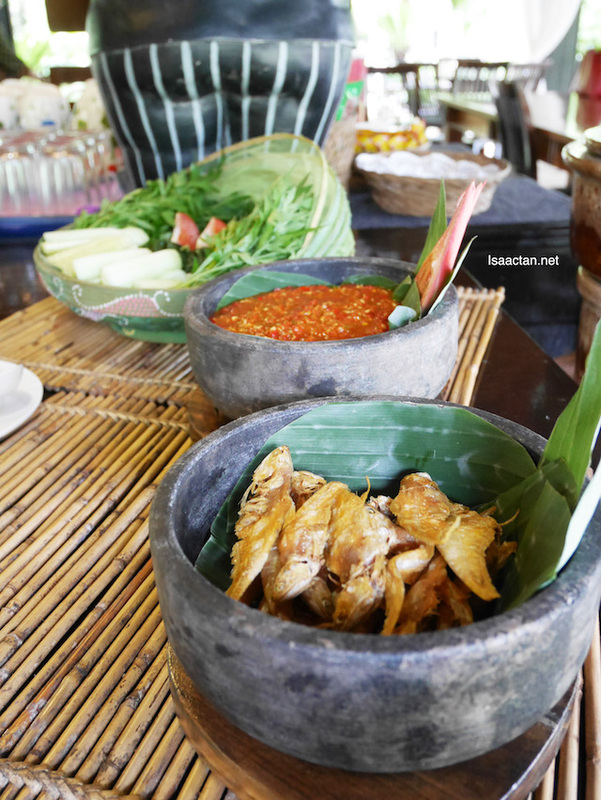 I totally enjoyed all the food prepared during our stay at Aman Rimba, and they were mostly traditional “masakan kampung”, delicious traditional Malay cuisine. We had a variety of food, and they all tasted great! 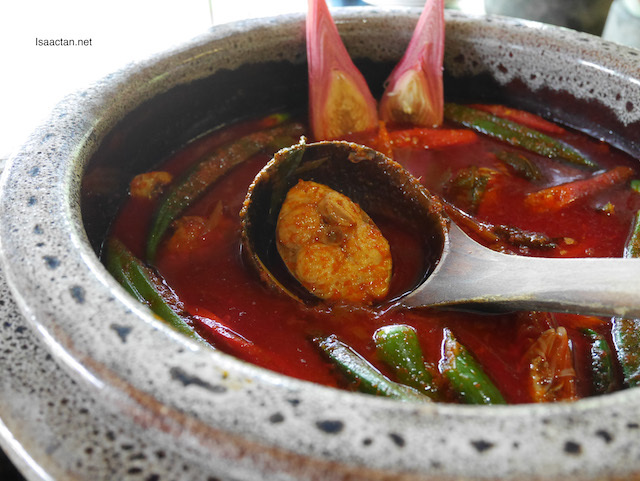 For lunch , we had the Kampung Styled variety, consisting of curries, freshwater catfish fried with chilli (ikan keli masak cili), pucuk paku goreng (stir fried wild ferns), assorted fresh ulam (freshly-plucked local aromatic herbs), sambal belacan and more! 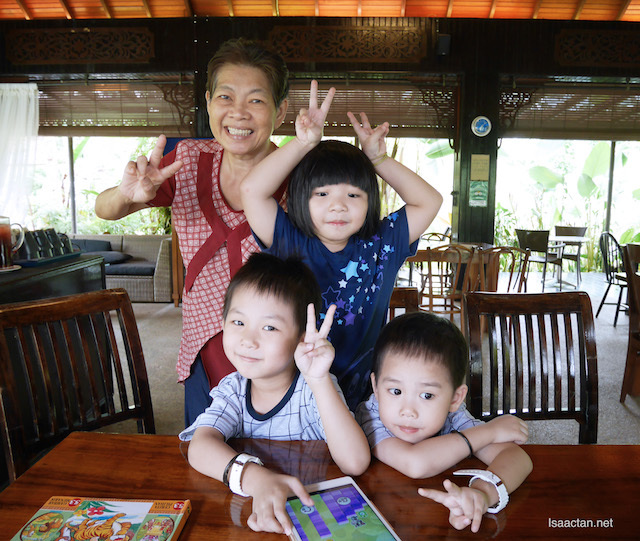 We did not waste time in getting the kids prepped up for a quick swim in the pool after a quick rest following our meal. 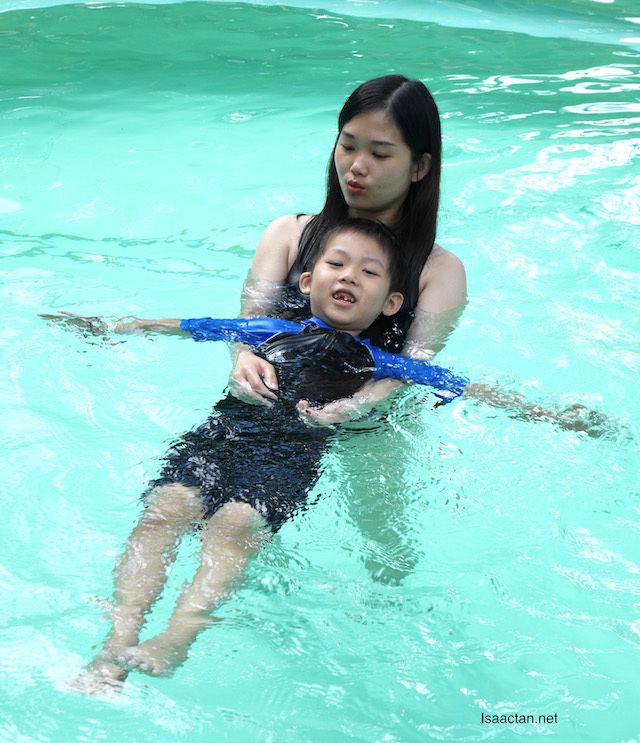 Swimming in the pool was great, especially in the hot weather. The kids loved it, and so did the Mrs.
Let's all climb on Mum yes? Dinner time is Good Too! 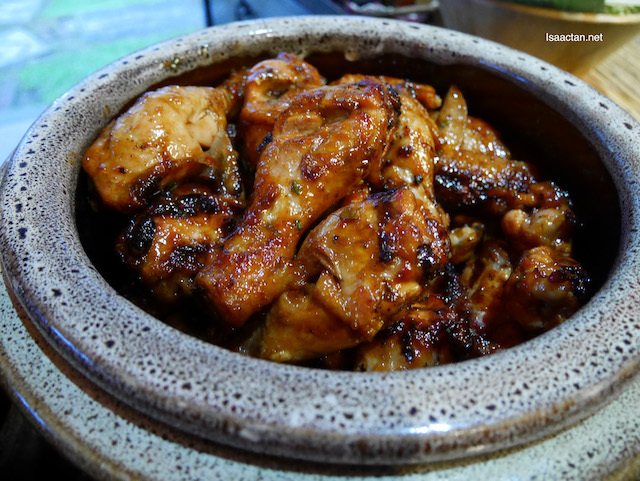 Dinner was really good, the BBQ type of good! 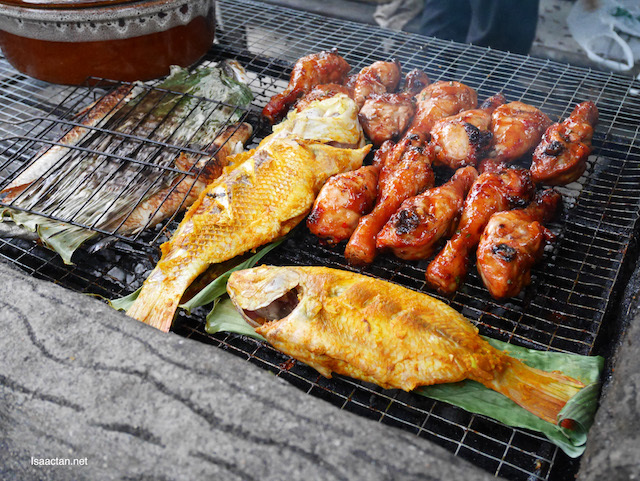 We had freshly barbequed chicken, sausages, squid, lamb, sea bass, garlic bread, corn, potatoes, green salad, pasta and fruits. How's that for a mouthful of words, but trust me, they were all truly delicious! We even had two fishes caught by our fellow friends from the lake! Yummy stuff. 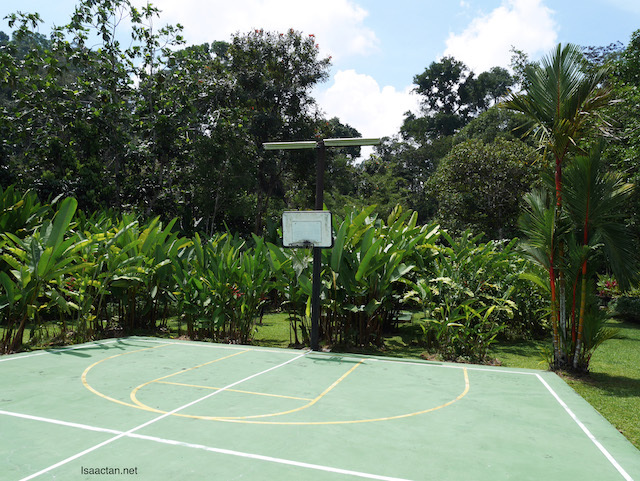 There are many outdoor activities one can partake in while we are at Aman Rimba, from swimming, to playing volleyball, basketball, or even go bird watching. Recreational bicycles are available too for exploring the nearby village if one wants too. 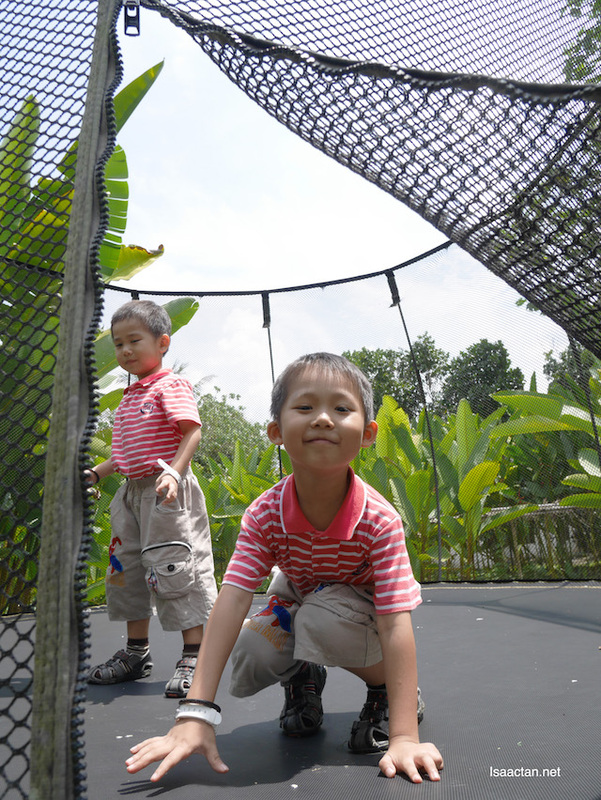 The kids loved the outdoor trampoline which we found while exploring the area. Jump jump jump, how exciting! We found a giant trampoline! 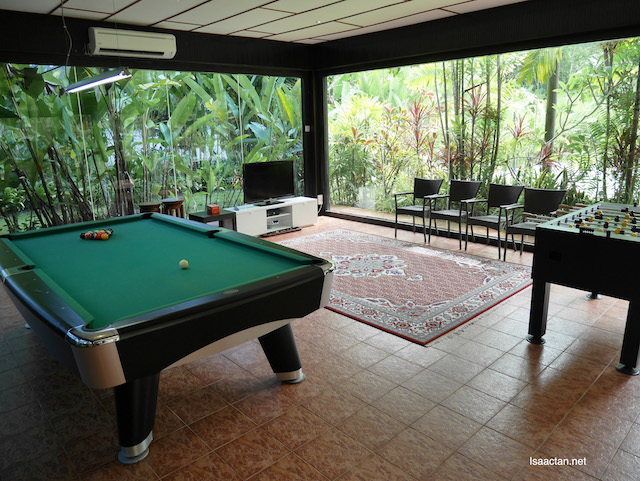 There’s even a “clubhouse” of sorts, a fully equipped games room, a place to enjoy a game of pool, some board games, Scrabble and more! Heck, if you’re in the mood for Nintendo games, foosball, and more, you’re in for a treat. It’s air-conditioned as well, so the kids would love this games room to bits. 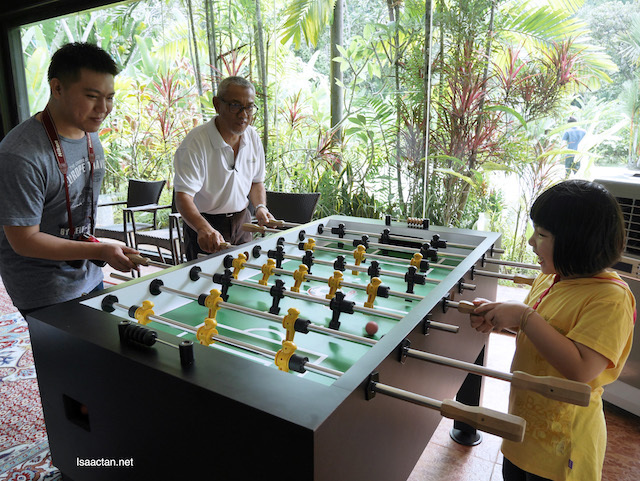 For corporate functions that might require activities like Amazing Race, Team Building Games, Telematch, Jungle Trekking and others can be arranged through 3rd party specialist providers; and additional fees apply. 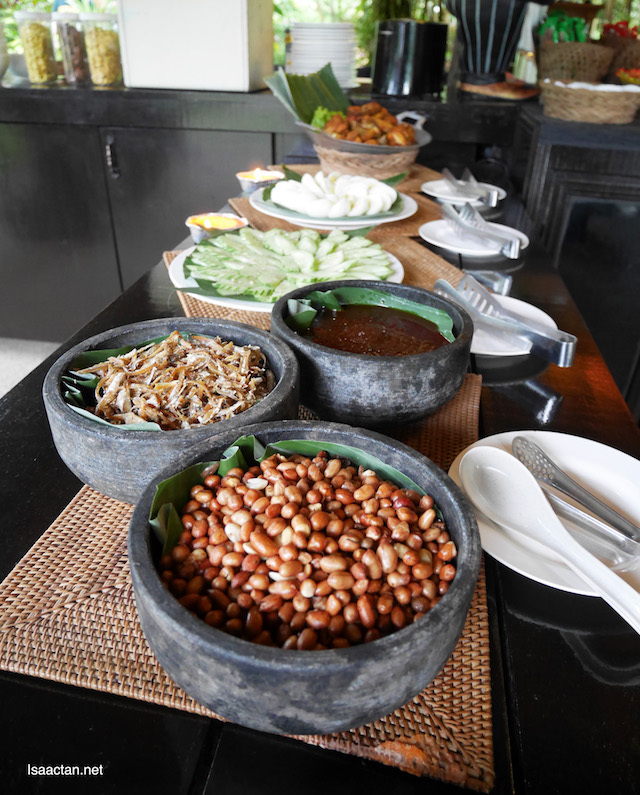 Breakfast the next day, of Nasi Lemak and more! 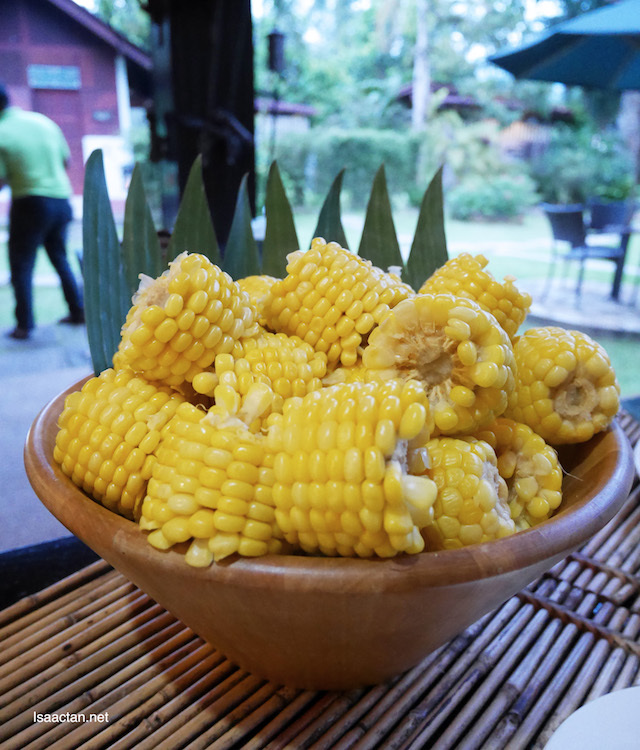 What an awesome weekend out with family and friends at Aman Rimba Private Estate, Janda Baik! It was a really great weekend retreat with the family amidst lush greeneries over at Aman Rimba Private Estate, Janda Baik. We truly enjoyed ourselves. 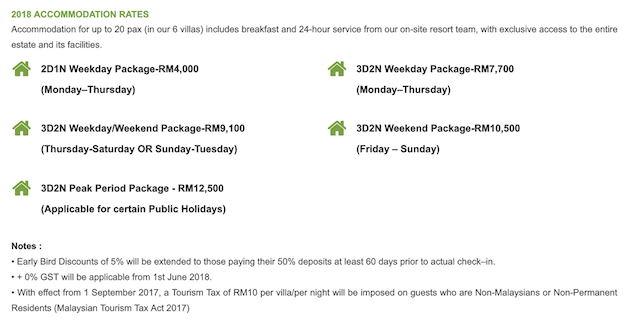 For inquiry or reservation of AMAN RIMBA Private Estate, do contact their Reservations Manager, Nashareen Ibrahim at +60 19 383 0500, during office hours from Monday to Friday or email nashareen@amanrimba.com. 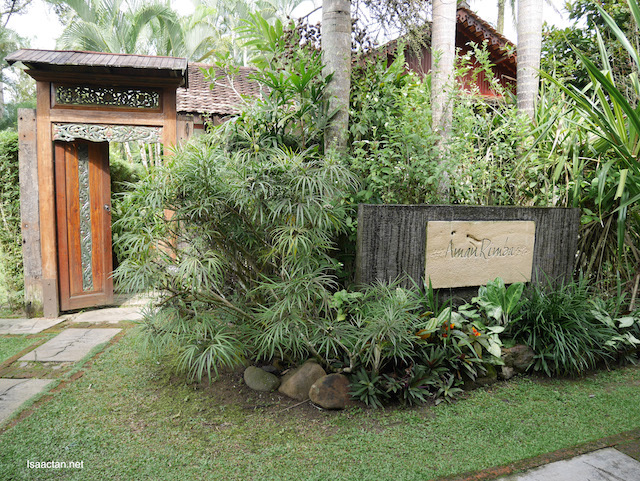 Check out their website as well: www.amanrimba.com, it is very comprehensive! Wowwwwww!!!! Such a lovely place! I so love the names, Janda Baik...Aman Rimba. 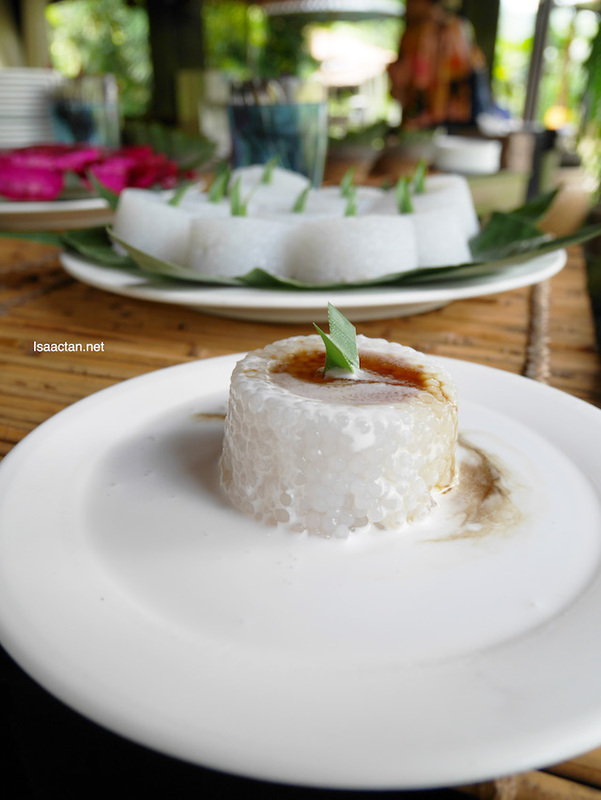 The ikan keli looks absolutely gorgeous and I so love sago pudding. Have not had it for a long time now. Interesting place to stay and eat. Will bring my kids there to enjoy a peaceful life. Cantiknya Kantan Suite kat sini. 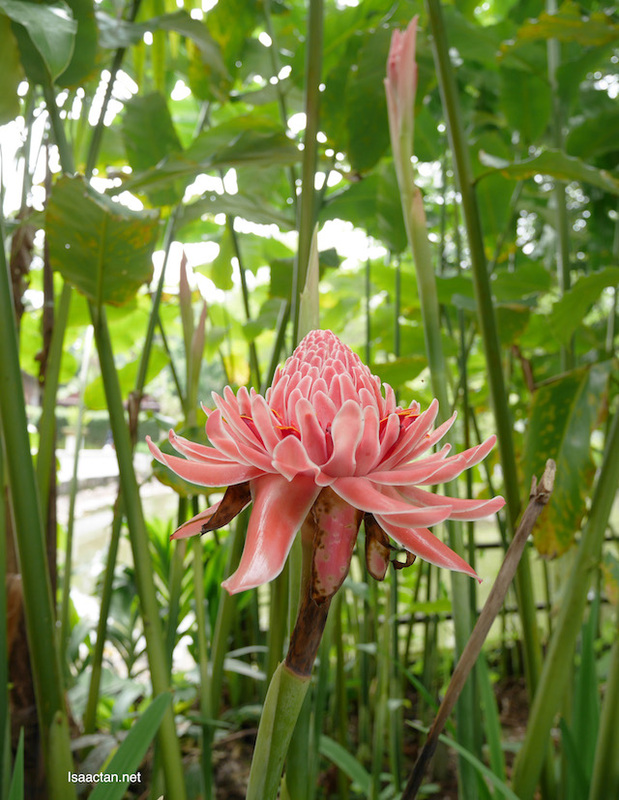 Oh and I also like the Bunga Kantan photo. Rasanya tenang kat sini dengan kehijauan saujana mata memandang. Memang tenang je la kat sini. 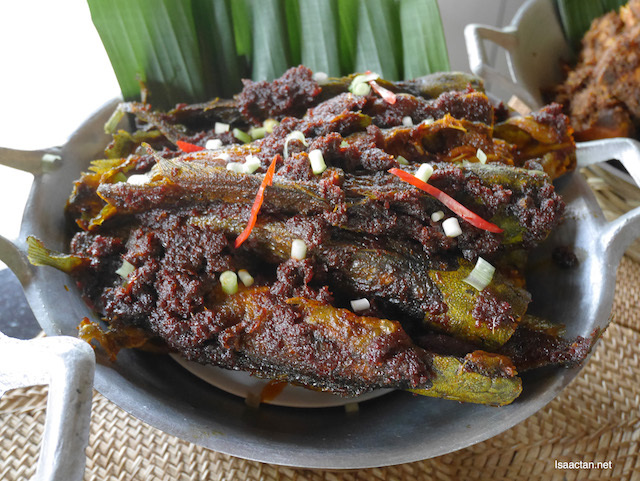 Makanan pun style Kampung. Wow!! I love to have this kind of weekend getaway. Totally my style. This place look so serene and peace environment. Wow the location is beautiful and calm and peaceful. Then a great deal of food and a great deal of food can come here for a while hehehehe. Wow. I will share the information with my friends because they are currently looking for a place to have a huge bachelorette party. Those villas are beautiful. You are right, this place is very nice and have that exclusive appeal. 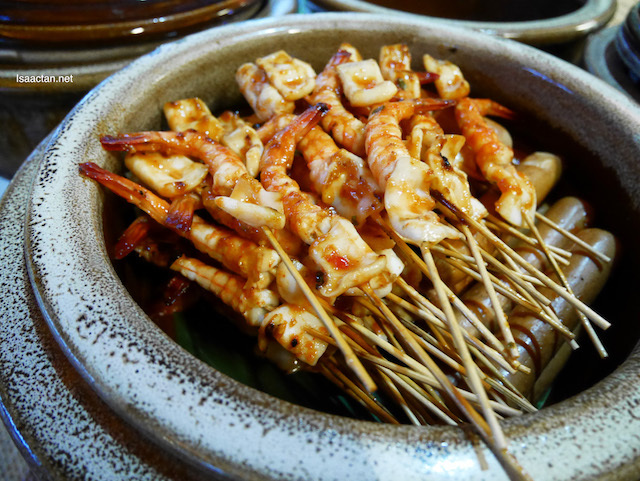 Perfect for intimate family gathering for a week! Do they host weddings?